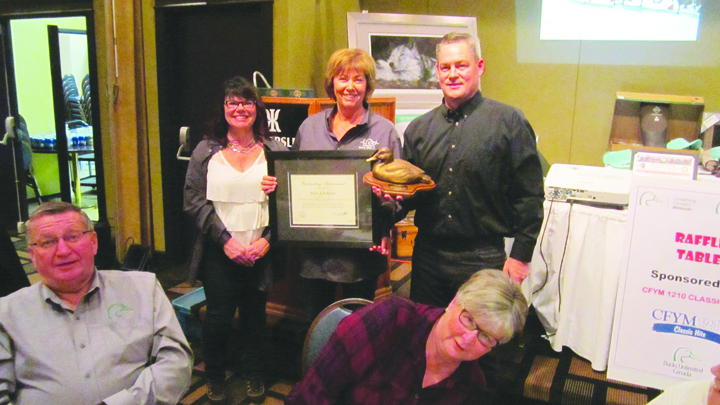 The Ducks Unlimited (DU) committee in Kindersley has held its 37th annual banquet, and an eager crowd did its part to support the fun and games on Saturday. More than 180 people not including committee members were on hand at the DU banquet on Oct. 13 at the Kindersley Inn. While the fundraising total was not available in time to publish, the numbers indicate another successful banquet for the committee, a spokesperson says. People spent the first hour of the event socializing, perusing the prizes and auction items, playing games and bidding in the silent auction. People enjoyed a tasty roast beef supper, and then they waited for the fun and games to begin.